The cleaning of the pond can either be a good or bad situation, depending on the season, condition of the pond and the health of the fish. The fall season is the best time of the year for cleaning. A pond can be cleaned in spring but it is not recommended. A fall cleaning should be completed before the trees and other deciduous plants drop their leaves and before the water temperature drops below 50 degrees. Fall cleaning eliminates the ammonia and other toxins in the water through draining and refilling the pond. The fish can then continue to feed in a healthy environment enabling them to build up their strength and immunities to disease and bacteria before entering the stressful winter season. This "Muck Buster" has 4x more power than PondTec Vac in a suction test. Suction lift 5-ft above water. Auto fill and drain cycle. Powerful 2-HP motor. 5-gallon capacity. Suction lift over 5 feet above water level. Automatic fill and drain cycle. Empties in about a minute. Integrated Check Valve Prevents Sludge from returning to the pond. Can remove dirt particles up to 3/8" in diameter. Support feet and pipe holders. Coarse debri may be collected in special mesh bag. The Pondmax pond vacuum is an ideal pond vacuum to clean small to medium ponds and water features. It has a powerful, 1400 watt electric motor and a large 35L canister capacity. 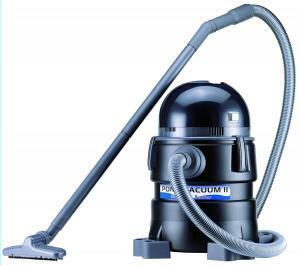 The PV350 has 2 modes; one is a manual on or off and the other is an auto mode which automatically turns off after 50 seconds of vacuuming to allow the water to drain from the canister for 50 seconds before starting up again. Gravity discharge, no pump located inside. Vacuum needs to be higher than pond or waste collection point. Cleaning your pond will be a breeze with a PondMax pond vacuum. • 2m discharge hose and discharge net. The PondoVac is the foundation for any avid pond owners care and maintenance routines. Not having to drain your pond to clean it is truly beneficial for your time and for the environment. The amount of water wasted in the drain and fill methodology of pond maintenance is unfortunately extremely high, but with the PondoVac Classic there can be no waste water at all. Suction: The PondoVac Classic uses a single chamber suction system that automatically alternates between suction and discharge. 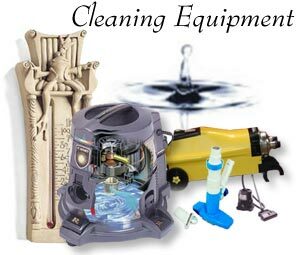 This means that the Vacuum fills with material cleaned out from the pond and then once the chamber is full, discharges its contents automatically without taking the time to stop and empty it manually. The PondoVac 3 & 4 boasts a dual chamber suction system which provides the user with continuous suction. Extremely Powerful Motor: The PondoVac Classic utilizes a 1200 watt motor that has a maximum suction height of 6 feet. That means you can use the PondoVac Classic to reach areas of the pond up to 6 feet deep and have full functionality. The PondoVac 3 & 4 utilizes 1600 and 1800 watt motors that have a maximum suction depth of 7 feet. Cleaning a deep pond has never been easier. Multiple attachments for multiple jobs: The PondoVac Classic, PondoVac 3, and PondoVac 4 come standard with a multitude of nozzle attachments. Nozzles range from cleaning through gravel to flat surfaces and even removing string algae. There are no problems that the PondoVac Classic, PondoVac 3, and PondoVac 4 can't handle.